After numerous infamous cases of people in India and Brazil falling prey to fake news spread on WhatsApp, the problem is now spreading to Nigeria. The West African nation is hosting its national elections in February next year, and a report from The Poynter Institute says its citizens are at risk of being conned by misinformation surrounding political parties – and it’s reaching people through WhatsApp. researcher Allwell Okpi found that rumors about ethnicities and political candidates often spread through WhatsApp in Nigeria, in local languages. According to the report, people using the Facebook-owned service often receive doctored or miscaptioned images. One of the prime examples included photos of Nigerian soldiers allegedly killed by the Boko Haram terrorist group. However, those turned out to be recycled photos from another incident which involved the Kenyan Army in Somalia. One recent false rumor was about where politicians stand on a semi-nomadic tribe clashing with indigenous tribes and Christian farmers. Another one claimed that a presidential candidate, Atiku Abubakar, couldn’t enter the US because of corruption charges. Such misinformation could color people’s opinions of political candidates and skew their decisions to vote in the upcoming elections. A recent survey indicated that 28 percent of people in Nigeria shared information which turned out to be bogus. The Facebook-owned chat application has taken some measures to battle fake news. It imposed a forward limit in India and Brazil to stop mass forwarding of messages. It even banned 100,000 accounts just before the elections in Brazil. In India, the company recently appointed a grievance officer and a company head. It’s taking a lot of effort to spread awareness offline as well through newspaper ads and theater. The company even launched a TV campaign today to warn people about misinformation. But as we noted, WhatsApp alone can’t be blamed for the spread of misinformation; it’s up to the government and the nation’s people to develop a culture of questioning the veracity of the information they receive through new channels of communication. 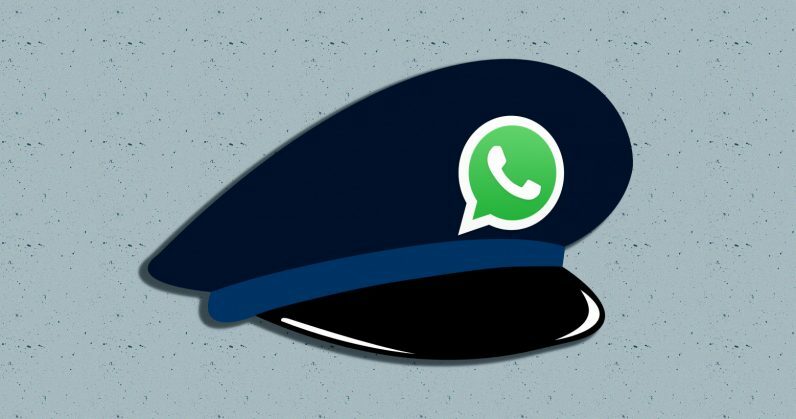 While WhatsApp‘s had a tough 2018, next year will put it under more pressure because of the upcoming elections in India and Nigeria. It’ll be interesting to see if the company can figure out ways to battle the spread of fake news without breaking its end-to-end message encryption.